The ordinary idea which we all have before we become a Christian is this. We take as a starting point our ordinary self with its various desires and interests. We then admit that something else - call it "morality" or "decent behavior" or "the good of society" - has claims on this self; claims which interfere with its own desires. What we mean by "being good" is giving in to those claims. Some of the things the ordinary self wanted to do turn out to be what we call “wrong”: well, we must give them up. Other things, which the self did not want to do turn out to be what we call “right”; well, we shall have to do them. But we are hoping all the time that when all the demands have been met, the poor natural self will still have some chance, and some time, to get on with its own life and do what it likes. In fact, we are very like an honest man paying taxes. He pays them all right, but he does hope that there will be enough left over for him to live on. Because we are still taking our natural self as the starting point. As long as we are thinking that way, one or other of two results is likely to follow. Either we give up trying to be good, or else we become very unhappy indeed. For make no mistake: if you are really going to try to meet all the demands made on the natural self, it will not have enough left over to live on. The more you obey your conscience, the more your conscience will demand of you. And your natural self, which is thus being starved and hampered and worried at every turn will get angrier and angrier. In the end, you will either give up trying to be good, or else become one of those people who, as they say, “lives for others” but always in a discontented, grumbling way - always wondering why the others do not notice anymore, and always making a martyr of yourself. And once you have become that you will be a far greater pest to anyone who has to live with you than you would have been if you had remained frankly selfish. According to C.S. Lewis is it possible to become a Christian, and still expect full control of our own lives? What does he mean by “give me your all”? Read John 4:7-14. How would you interpret the story of the woman at the well, based on this reading? In the reading, C.S. Lewis includes the statement, “Hand over the whole natural self, all the desire which you think innocent as well as the ones you think wicked - the whole outfit.” Why do we need to turn over the innocent goals and objectives? Read Colossians 3:1-4. How do these verses support what C.S. Lewis says about the cost of discipleship? What is Christ’s goal for us? 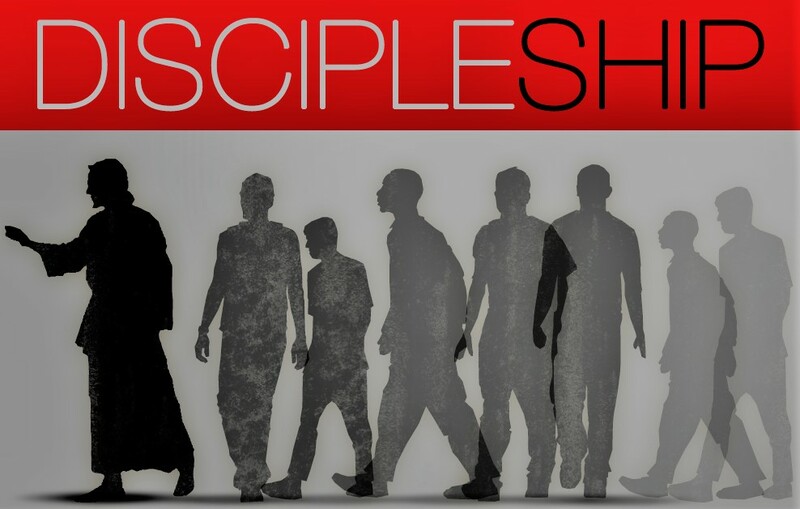 How can we explain the cost of discipleship to those who are considering a relationship with Jesus? We are told to be ready in season and out of season to give an account”. Talk over ways that we can present the truth in a clear and positive way. Returning to John 4, read verses 15-26. The woman tries to sidetrack the conversation. Today we hear “There are many ways to heaven” objections. What was Jesus’ response? What does he mean? Read Acts 4:11-13 to see if this helps. Re-read the last two sentences of the C.S. Lewis article. What are we given in exchange for our all? Is discipleship worth the cost? Explain, using your own experience with Christ.